In a world of instant gratification, none of us want to hear the words “not now”. This generation is convinced that if we can’t get what we want when we want it, we must “help God out”. Have I been guilty of this? Yes! When God put me on hiatus from vocational church ministry, it felt good for a little while. I have had 5 churches contact me about positions since that point, but He never released me to pursue them completely. Perplexing? Somewhat. For those who have read my blogs for some time, you may be tired of reading about this subject. I can easily understand. Please hear me out because I want to aim at your heart with what God is trying to teach me (and I’m being a little slow about learning). Countless people throughout history have experienced God say “not now”. God promised Abraham and Sarah a son named Isaac. The problem was that they didn’t want to wait. Sarah devises a plan for Abraham to have a baby with Hagar. The repercussions of that poor decision exist today. Joseph had a great life until his brothers sold him into slavery. He went through several things before he was promoted. Job went through immense suffering before God restored things back to him. What is God up to in all of this? It is a season of preparation. Is there a set length of time for my season or your season of preparation? Unfortunately not. A pastor who is also taking some time away after a horrendous situation shared some wisdom with me recently. He told me to focus on being with Jesus during this season. Don’t focus on trying to impress a church to hire me. Don’t focus on trying to impress people with my abilities, wonder what I’m doing wrong, or what other people think because I’m not doing what I used to do. The devil loves to use these things to distract us from what God is doing. Jesus told His disciples in Mark 3 to be with Him before they ever went out to minister. What do most of us ministers do? We fall back on our preparation, study, skill, personality, and anything but our personal, daily walk with the Lord. 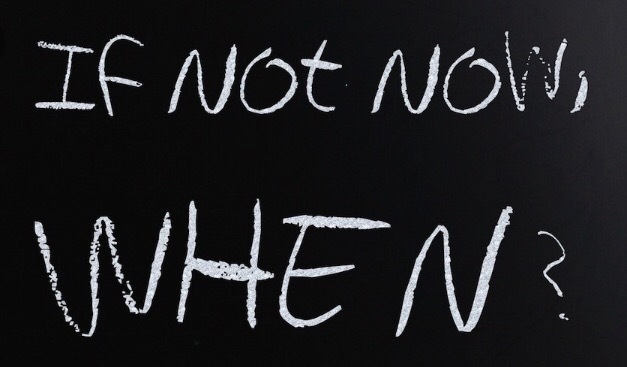 So, what are you going to do when God says “not now”? Are you going to pout? Wander away from God? Give up on the church? Our response reflects our level of maturity in Christ. Our best response would be to trust that God knows best and knows what we need when we need it. Let the Lord embrace you during this time. Take time to be still and know that He is God. Pour your love on Him. Just as your earthly parents delayed certain things for your good, your Heavenly Father does the same because He loves you. Very timely. I actually just spent this week making sure my devotion time was met no matter what. It’s easy for me to keep studying or doing what I love to do creatively to share Jesus. But if I don’t spend time with him, how can I share Him properly with others? I would say at that point it becomes more about me and not Him. Thanks.